current 17:12, 23 August 2013 560 × 433 (32 KB) Maintenance script (talk) William Steckle (left) paid a record 50 for this quilt at 1967 Relief Sale in New Hamburg, Ont. Ward Shantz, sale manager at right. 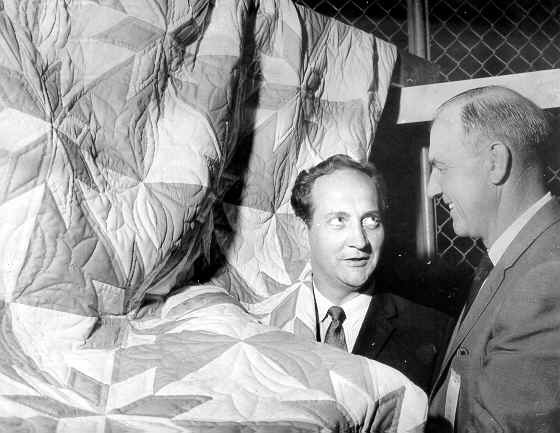 20:28, 16 August 2013 560 × 433 (32 KB) Maintenance script (talk) William Steckle (left) paid a record 50 for this quilt at 1967 Relief Sale in New Hamburg, Ont. Ward Shantz, sale manager at right.